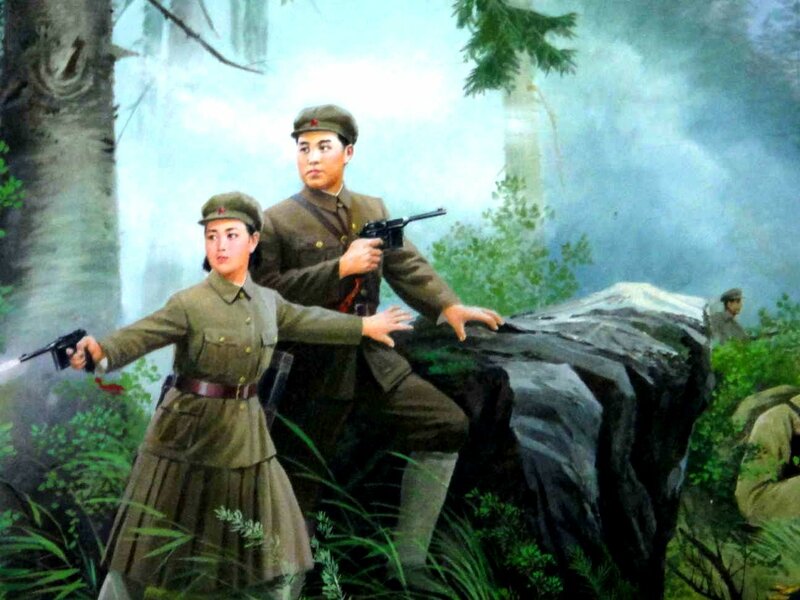 In yesterday’s post on North Korean propaganda I wondered if they realized the pervasiveness of their propaganda. They seemed not to pay attention to it. Could they not notice it, like fish in water? Do you think communist countries use propaganda and yours doesn’t? I would have thought so until I traveled around a country with no advertising. North Korea has no billboards. Or rather it has billboards, but it doesn’t use them for advertising. It didn’t take long for the lack of advertising or preponderance of propaganda to hit me. Nor did it take long to pick up the propaganda’s message: support the state, stride forward, we are the best, the rest of the world is threatening. It took two steps for the underlying message of the propaganda on their billboards to reveal the underlying message of our advertising. 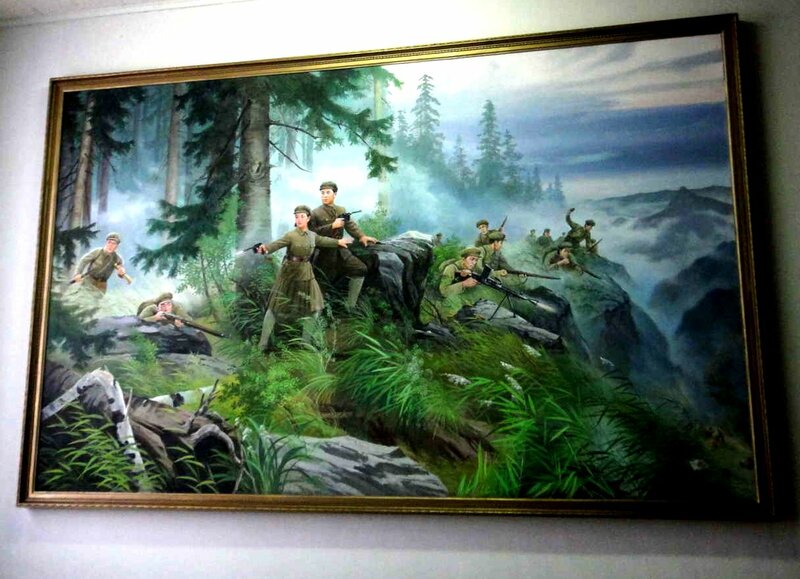 When you see their over-the-top propaganda — say some militaristic painting in the middle of a library you can’t imagine anyone not incredulously asking “how did someone think of that, let alone decide to put it in a library” — and nobody seems to notice it, you realize they tune it out. I think tuning out messages like that means (among other things) they accept and tacitly support the system that produces the belligerent propaganda and all it says. Maybe they’d prefer not to, and maybe in their minds they don’t, but by their behavior they do. It means they don’t tune it out completely. As I’m writing this post I’m on the subway from my home in the West Village to Columbia University, where I like to write in the library. My train passes under Times Square, one of the city’s premier tourist locations. What is in Times Square besides advertising? I guess there are Broadway shows, but people marvel at the ads more than anything else. They light the place up like daytime in the middle of the night. Forget about differences between economic systems. For a second imagine living in a world without advertising. Then imagine seeing Times Square. Or watching a television show with all its commercial breaks. You realize what you tune out and what accepting it means. Ads overtly tell you to buy this or that product or service. Actually, expensive ads like in Times Square brand more than attempt to overtly sell. They tend to lead you to associate emotions and motivations with products and services. They may not have an overt message you could put into words as much as a subtle feeling you can’t so easily put into words, but connect with the product or service. Their acceptance means they accept belligerence and the power of the state over their lives. How can I help but conclude that we accept consumerism and the power of the market over our lives, to say nothing of the messages our government communicates too?